The ruling was made regarding Heien v. North Carolina, a case in which an officer pulled over a driver while under the mistaken belief that the latter’s driving with a single inoperable brake light constituted a violation of state law. After consenting to a vehicle search which revealed narcotics, the defendant, Nicholas Heien, sought to have the evidence suppressed by invoking the Exclusionary Rule, a component of the Fourth Amendment. In an act which demonstrates a high level of political calculation, the Supreme Court seized upon a lower court’s ruling which found the police officer’s search to be illegal in order to overturn the decision. “The Fourth Amendment requires government officials to act reasonably, not perfectly, and gives those officials ‘fair leeway for enforcing the law,’” Chief Justice John G. Roberts stated in remarks supporting the majority’s opinion. Rather than being confined to traffic stops, the Court’s decision can be reasonably interpreted to give police the right to detain and search individuals under practically any circumstances. In the lone dissenting opinion, Justice Sonia Sotomayor raised fears that this sort of conclusion would be drawn from the decision. “[The decision] means further eroding the Fourth Amendment’s protection of civil liberties in a context where that protection has already been worn down,” she said, adding that the concept of the law being “definite and knowable sits at the foundation of our legal system…” and that if officers are given leeway in such cases it may work to undermine the legitimacy of the court. The court’s attack on the Fourth Amendment has been a continuous one. Other Supreme Court rulings of note have allowed for police to enter private residences without search warrants, citing “exigent circumstances” after the fact, as well as the proliferation and institutionalizing of “no-knock” raids, which involve militarily-armed SWAT team members forcing down doors on suspicions of illegal doing. The decision occurs as mass protests have swept the country in recent weeks in opposition to police killings and the militarization of law enforcement and erosion of basic democratic rights. In the aftermath of the August police killing of unarmed African American teenager Michael Brown in Missouri, protesters were confronted by police officers toting military-grade weapons and equipment and subjecting demonstrators to mass arrests for failing to obey arbitrary orders. The scale of America’s surveillance state was laid bare on Thursday as senior politicians revealed that the US counter-terrorism effort had swept up swaths of personal data from the phone calls of millions of citizens for years. After the revelation by the Guardian of a sweeping secret court order that authorised the FBI to seize all call records from a subsidiary of Verizon, the Obama administration sought to defuse mounting anger over what critics described as the broadest surveillance ruling ever issued. A White House spokesman said that laws governing such orders “are something that have been in place for a number of years now” and were vital for protecting national security. Dianne Feinstein, the Democratic chairwoman of the Senate intelligence committee, said the Verizon court order had been in place for seven years. 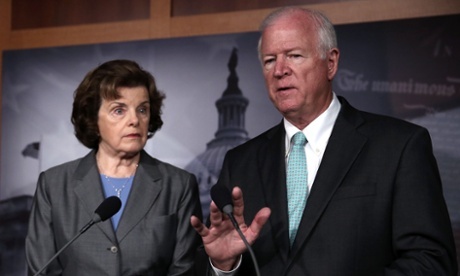 “People want the homeland kept safe,” Feinstein said. But as the implications of the blanket approval for obtaining phone data reverberated around Washington and beyond, anger grew among other politicians. Intelligence committee member Mark Udall, who has previously warned in broad terms about the scale of government snooping, said: “This sort of widescale surveillance should concern all of us and is the kind of government overreach I’ve said Americans would find shocking.” Former vice-president Al Gore described the “secret blanket surveillance” as “obscenely outrageous”. The Verizon order was made under the provisions of the Foreign Intelligence Surveillance Act (Fisa) as amended by the Patriot Act of 2001, passed in the wake of the 9/11 attacks. But one of the authors of the Patriot Act, Republican congressman Jim Sensenbrenner, said he was troubled by the Guardian revelations. He said that he had written to the attorney general, Eric Holder, questioning whether “US constitutional rights were secure”. The White House sought to defend what it called “a critical tool in protecting the nation from terrorist threats”. White House spokesman Josh Earnest said Fisa orders were used to “support important and highly sensitive intelligence collection operations” on which members of Congress were fully briefed. “The intelligence community is conducting court-authorized intelligence activities pursuant to a public statute with the knowledge and oversight of Congress and the intelligence community in both houses of Congress,” Earnest said. He pointed out that the order only relates to the so-called metadata surrounding phone calls rather than the content of the calls themselves. “The order reprinted overnight does not allow the government to listen in on anyone’s telephone calls,” Earnest said. But such metadata can provide authorities with vast knowledge about a caller’s identity. Particularly when cross-checked against other public records, the metadata can reveal someone’s name, address, driver’s licence, credit history, social security number and more. Government analysts would be able to work out whether the relationship between two people was ongoing, occasional or a one-off. The disclosure has reignited longstanding debates in the US over the proper extent of the government’s domestic spying powers. Ron Wyden of Oregon, a member of the Senate intelligence committee who, along with Udell, has expressed concern about the extent of US government surveillance, warned of “sweeping, dragnet surveillance”. He said: “I am barred by Senate rules from commenting on some of the details at this time, However, I believe that when law-abiding Americans call their friends, who they call, when they call, and where they call from is private information. Jameel Jaffer, deputy legal director at the American Civil Liberties Union, said: “From a civil liberties perspective, the program could hardly be any more alarming. It’s a program in which some untold number of innocent people have been put under the constant surveillance of government agents. Under the Bush administration, officials in security agencies had disclosed to reporters the large-scale collection of call records data by the NSA, but this is the first time significant and top-secret documents have revealed the continuation of the practice under President Obama. The order names Verizon Business Services, a division of Verizon Communications. In its first-quarter earnings report, published in April, Verizon Communications listed about 10 million commercial lines out of a total of 121 million customers. The court order, which lasts for three months from 25 April, does not specify what type of lines are being tracked. It is not clear whether any additional orders exist to cover Verizon’s wireless and residential customers, or those of other phone carriers. Fisa court orders typically direct the production of records pertaining to a specific, named target suspected of being an agent of a terrorist group or foreign state, or a finite set of individually named targets. The unlimited nature of the records being handed over to the NSA is extremely unusual. The Center for Constitutional Rights said in a statement that the secret court order was unprecedented. “As far as we know this order from the Fisa court is the broadest surveillance order to ever have been issued: it requires no level of suspicion and applies to all Verizon [business services] subscribers anywhere in the US. Although an anonymous senior Obama administration official said that “on its face” the court order revealed by the Guardian did not authorise the government to listen in on people’s phone calls, Tice now believes the NSA has constructed such a capability. Our editors’ picks for the day’s top news and commentary delivered to your inbox each morning. Lawmakers… Please don’t let me die knowing that this plant could have saved me and you denied the same access as 18 states and DC as well as the 4 federal patients. You can stand up for me and many folks like me..
Come on Obama Administration… I need access to the whole plant of cannabis. I do not buy …. sell or grow… I should have the right to grow it like tomatoes for my medicine. I should be able to use its oils and juice its leaf or eat is raw. or smoke a joint whichever I need at the time.End marijuana Prohibition TODAY!!! and also SAVE Americans at the same time. This plant is the only thing that could save my life. Facebooker’s will you share this everywhere please. This is an open letter to my Ohio legislators. I have nowhere else to turn. I hope you hear my cries for help and I hope you stand up for me. Representative Bobby Hagan will be Re introducing the Ohio medical compassion act which I hope you will consider cosponsoring in January 2013. 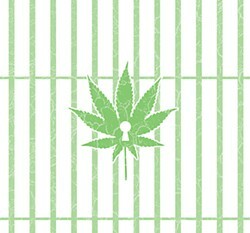 It would merely allow Ohio’s doctors and patients to decide whether or not medical cannabis could benefit them or not. It would allow the department of health to keep an eye on the program and make sure there were no abuses. Anyone that is in the program would be in a database so that you can keep track of this act of compassion. 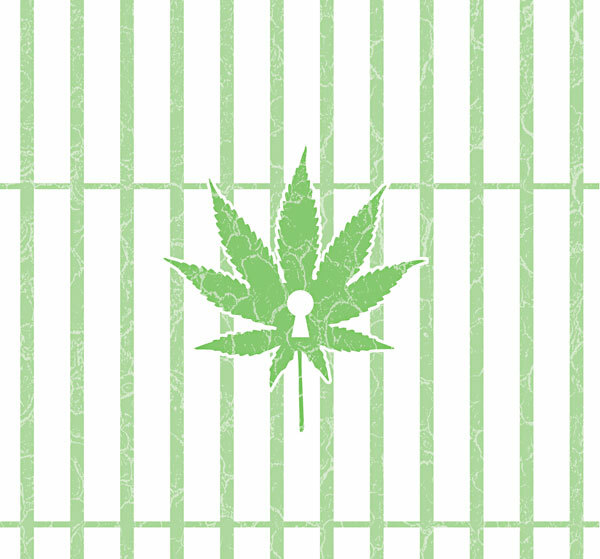 We also believe that it would save Ohio taxpayers millions of dollars by not arresting, incarcerating and prosecuting folks for making a choice using cannabis as medicine. we also believe that the Obama administration would not bother our program because there would not be storefronts or dispensaries selling the product. Over 73% of Ohioans support the compassionate use of marijuana..I am not sure you are aware but our sister state of Michigan has a medical cannabis program. We believe that we should have the same rights as those folks just across our border. Also Colorado and Washington just legalized marijuana for personal use. My name is Tonya Davis and I’m your constituent. I am a mother, grandmother, sister, daughter. I could be your neighbor, friend, coworker. You have seen me at the Ohio Statehouse over the last decade in a suit rolling around in my wheelchair trying to bring your attention to alternative medication that is actually safer than aspirin. Yes I’m talking about medical cannabis and this has been my choice of medicine. For a long time you said to me to "bring in a doctor that supports this issue" I have! you have said "bring in the science that supports cannabis as medicine" I have.. You have said " get a Republican on board" WE HAVE… we have jumped through the hoops that you have asked us to jump through. We have a certified petition for the Ohio alternative treatment amendment that was certified by the SOS and the AG October of last year. We currently have house Bill 214 that is being ignored in the health committee because our speaker of the house refuses to give it a hearing. Now I’m asking you to save my life. My whole life I have begged for help no one ever hears me. I will be heard this time because this is my life I’m fighting for and I’m going to die on my terms. Our government knows that cannabis is a medicine and that it is a neuro protective and antioxidant. they have patents on it. I am literally fighting for my life and my independence as well as tryin to keep my cognitive thinking okay. By allowing me the same access as the 18 states plus Washington DC as well as the four patients that are currently allowed on federal level …it is not harming anyone. I deserve that same access even though I am in the state of Ohio. I should not have to go die like a wounded animal in the woods. (going to a state that does have medical cannabis laws) where I have no family and a support system. I am not a drug addict, suffer from mental illness or have any type of criminal record. My neurologist came into my hospital room and told me a year ago that there was nothing that they can do for me anymore except keep me comfortable and treat symptoms. I have massive calcium deposits on my brain. I have pseudo-hypo parathyroidism which has completely disabled me and caused major medical problems such as crippling arthritis ,diseased esophagus, hiatal hernia ….inflamed bowel disease with adhesions wrapped around it…. severe hypocalcaemia…. very high phosphorous.. my blood pressure is all over the map … my heart rate is through the roof. All of this can be proven and backed up. Will you do the right thing and support compassion not corruption? My future is bleak but I have an opportunity to change things and to protect what brain that is not damaged yet. and most importantly die on my terms. I CHALLENGE YOU TO SEND THIS TO ALL YOUR COLLEAGUES IN WASHINGTON. ADDITIONALLY, MS. DAVIS WROTE THE FOLLOWING…..
SANPETE COUNTY, (ABC 4 News) – A federal judge has dismissed a lawsuit involving a young man who believes his constitutional rights were violated when police forced a catheter inside him. Stephan Cook, 22, brought the lawsuit against several law enforcement officers in Sanpete County and Ephraim City, claiming that they performed a forced catheterization on him, after he refused a drug test in 2008 while attending Snow College. As the plaintiff in the case, Cook claims the incident in question started on a quiet side road in Ephraim where he was parked smoking cigarettes inside a car with friends. Cook says police officers approached the car, suspecting the young men were smoking marijuana. “When they approached us, they said it smelled like marijuana, but we said no, we’re smoking cigarettes and we just put the cigarettes out like you asked us to,” says Cook. Cook refused to offer a urine sample after the cops demanded it numerous times. He adds that he repeatedly asked for an attorney to be present. After obtaining what Cook’s attorneys call a “botched” search warrant, he was forced by police to be catheterized at Sanpete County Hospital. “The nurse told the officers to hold my shoulders while they catherized me, and after that they took me straight to jail,” said Cook. According to the attorneys, Sanpete County Hospital still has not produced the urine sample as evidence, or even a record of Cook coming to the hospital. They say it further adds to their belief that the law enforcement agencies involved did not follow correct procedure. Prior to filing his civil lawsuit, Cook fought the case in criminal court, where he accepted a plea of abeyance. The agreement allowed him to admit to one count of possession of marijuana and a fine, in exchange for dropping the rest of the charges against him. According to Cook’s legal team, the federal judge dismissed his civil lawsuit partially due to the fact that Cook had previously admitted guilt. However, both Cook and his attorneys say the plea of abeyance was made under duress. The attorneys, who plan to appeal, say the ruling to dismiss the case on those grounds is just plain wrong. “Irrespective of whether he committed this crime, that’s irrelevant to whether they’re entitled to forcibly catheterize him,” said attorney Justin Heideman. Cook’s mother who is a fellow police officer for a different city strongly opposes the defense counsel’s statement, calling this a matter of police brutality. “This is a story of contemptive cops. He (Stephan) wouldn’t voluntarily pee, and they were gonna do whatever it took to get his urine – period,” said Stephan Cook’s mother Holly Ziegenhorn. Cook wants to keep fighting and move forward with an appeal. He says he does not want another person to have to go through what he did. “I never wanted this to happen. I’m willing to stand up for everybody else who can’t,” said Cook.